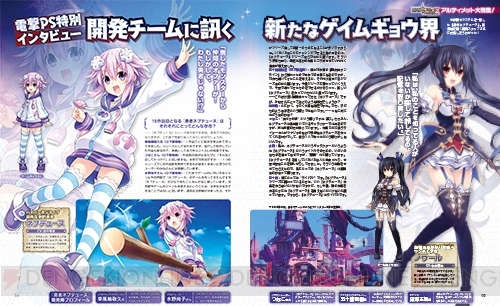 A screenshot, scan, and Neptune artwork tease. 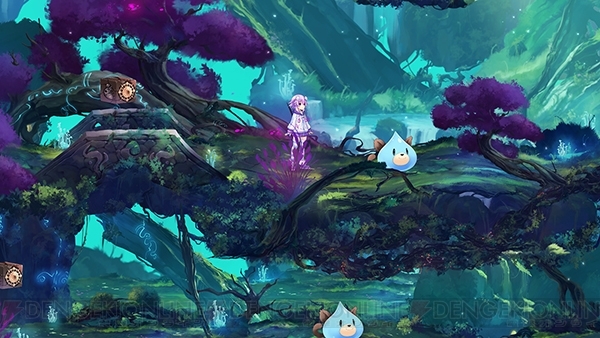 Brave Neptunia: World! Universe! Pay Attention!! Ultimate RPG Declaration!! will launch for PlayStation 4 on September 27 in Japan for 7,200 yen, the latest issue of Dengeki PlayStation reveals. A 9,700 yen limited edition including an art book, soundtrack, and PlayStation 4 theme will also be available. Chrome (voiced by ???) – A mysterious girl who meets Neptune in this world. 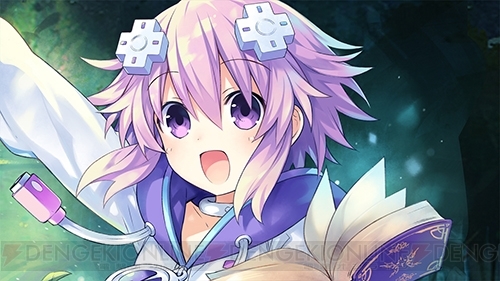 Neptune, Noire, Blanc, and Vert – The four goddesses have lost their memories, and will start their relationships from the first encounter. Surara Izuda (voiced by Tomoko Kaneda) – She repeats things like “hoyohoyo” and “dayodayo” at the ends of sentences. Histoire – She has become a book. It is set in the world of Gamindustri. Dungeons are 2D, but are not a straight path. They are shaped like labyrinths with interior points that you can move to. Combat seems to be like Valkyrie Profile in that when each button is pressed, the assigned character attacks. Thanks, Ryokutya2089 and Dengeki Online.